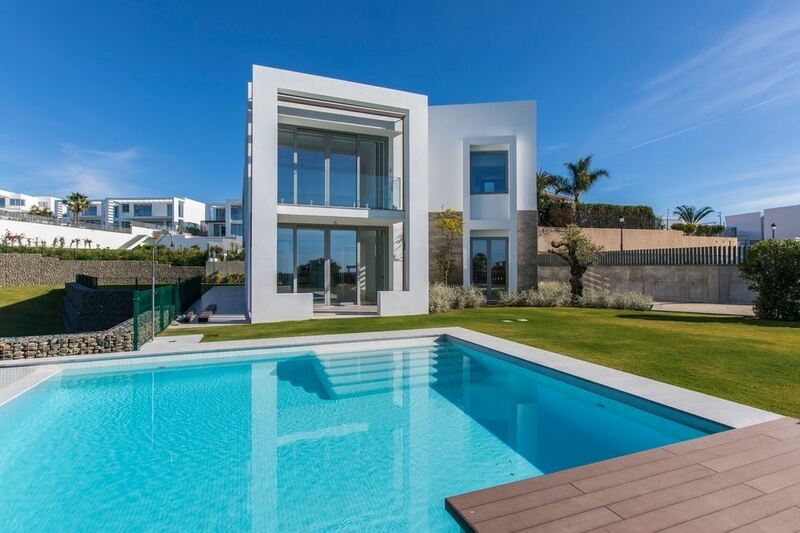 This wonderful villa has a two level garden with a pool. Its original design includes a special shaped living room with two different view orientations. The kitchen is completed by Valcucine with Neff appliances. It has a covered carport for two cars with additional access to the house. The villa has 4 double bedrooms, one of which is on the ground floor with a direct access to the pool area. All upstairs bedrooms have an access to the terrace and great views and the master bedroom includes a walk in closet.